By New Year 1911, Santa Rosa was itching for an excuse to throw a great party for Fred J. Wiseman. During the first decade of the 20th century, Wiseman was Santa Rosa's favorite son and hometown celebrity, second in esteem only to that guy named Burbank. Over forty items about him appeared in the Santa Rosa papers during 1910 alone, as discussed in a few of the articles about him listed at right. WHO WAS FRED J. WISEMAN? Fred J. Wiseman loved all manner of racing machines. Born on a Rincon Valley farm in 1875 (sometimes he made himself younger by claiming 1877 or 1880) he grew up just as bicycling was becoming a national craze. He opened a small bicycle shop downtown and by 1905 his Santa Rosa Cyclery was also renting small cars as well as offering Wiseman as a driver for hire. After the cyclery business was destroyed by the 1906 earthquake, Wiseman took a job with a San Francisco auto dealership. Within two years he was their competition driver and "head automobile man," showing off their make of auto at races around California and Nevada, which he frequently won. His name and victories appeared in ads for tires and other auto parts. His interest in auto racing faded after he attended the first West Coast aviation meet in 1910. With an investment from his old Santa Rosa friend, Ben Noonan, his team began cobbling together an aircraft under a large tent in a Windsor pasture. The first official flight of his aircraft happened that July in Petaluma and over the next few months Wiseman and the others remained in Petaluma redesigning the aircraft and learning to fly it. Wiseman called it quits in 1912 and sold his biplane, reportedly telling relatives he saw "no future in it" because so many of his colleagues were being killed. He took a job as a garage foreman and mechanic with Standard Oil where he worked until he retired around 1940. He died in 1961 in Berkeley. Wiseman's great popularity that year was all the more remarkable because he had little public presence. In his earlier days as a race car driver someone could go see him at a competition or at least read about his latest trophies on the sports page; most of what he was doing in 1910 could only be witnessed by chance. Nevertheless, anything Wiseman-related was newsworthy because he and his pals were building an airplane and the country was then whipped up to dithers about the exciting new world of aviation. Much of that newspaper coverage was about things that were supposed to happen, but didn't. An exhibition flight for the Rose Carnival was called off because of winds, so the crowds only saw Wiseman give a little talk in front of his plane. A flight was planned at the Fourth of July fair in Petaluma, but called off after Wiseman crashed the plane twice in a month. When the biplane finally made its official public flight in Petaluma Wiseman wasn't the pilot, but instead his long-time racing partner and mechanic, Jean Peters. Wiseman was next behind the controls for an air show in Reno and you guessed it - he crashed. Yet despite his knack for plummeting to earth instead of staying aloft, the Petaluma and Santa Rosa newspapers remained his indefatigable cheerleaders. "Fred Wiseman has the airship spirit," the Press Democrat chirped after the Reno smashup. "He wants to fly. He says he has a machine now that will fly like a bird. There is no longer any question about it..."
But come January 1911, Fred Wiseman's bad luck gloriously changed. He entered as an amateur at the Selfridge Field air meet in San Francisco (really the Tanforan Racetrack in San Bruno). This was no county fair-type event – it was the first big aviation show held in Northern California. Prize money was huge, which attracted top aviators worldwide. One of them thrilled the city by flying over downtown San Francisco and becoming the first pilot to cross through the Golden Gate. Another made the first landing on the deck of a battleship. Another buzzed an Oakland-to-SF ferry and scared the bejeezus out of passengers. It was Fred J. Wiseman, however, who won the public's heart. "CHEERS SPEED WISEMAN ON IN FLIGHT IN HOME MADE MACHINE," read a headline in the San Francisco Call. "When Wiseman wheeled his biplane in front of the grandstand and the announcer informed the crowd that he was a Californian and would 'attempt' to fly a California built machine he was accorded a great reception," the Call reported, after telling readers about past failures when "the best he could do was to make a few short hops off the ground." Wiseman executed a perfect takeoff – and then the goddesses smiled upon him. A gust of wind blew him off the course, sending him soaring over the infield and presenting the audience a longer majestic display. He circled back with ease and "made a beautiful landing in front of the grandstand," the Call said. Later in the day he made the longest amateur flight of the show and ended up winning six prizes with a total purse of $1,283.33, just a hair behind the first place winner in the amateur class (who was a semi-pro flyer in a professional aircraft, which stirred bad feelings). ...Parks' Santa Rosa band was on hand at the depot to render martial music and to add to the welcome of Wiseman. Red fire was burned at the depot and along the line of march, and giant crackers were exploded as a noisy welcome. This was continued along the line of march up Fourth street. When the train arrived the passengers became considerably excited, and hastily threw open the windows to learn the occasion of the band's presence and the firing of the giant crackers and the burning of the red fire. After speeches on the courthouse steps by Mayor Edwards and Wiseman, everyone marched over to the Bismarck restaurant for a banquet in Fred's honor. There, a possible Petaluma-to-Santa Rosa flight was the hot topic. The notion of a flight between the towns first came up a couple of months earlier, after Wiseman wrecked the plane at Reno. While the smashed aircraft was being rebuilt back in Petaluma, papers in both towns ran stories that he was planning a low-key flight up to Santa Rosa - with his track record at the time, it would be understandable if his confidence was shaken and didn't want to risk a humiliating crash in front of his family and friends. "There will be no flourish of trumpets prior to what Fred Wiseman hopes will be his next accomplishment--a flight from Petaluma to Santa Rosa," the PD wrote around Thanksgiving, 1910. A few weeks later, the Petaluma Courier reported, "The aviator will take the county seaters by surprise and he intends to land there early in the morning in time for breakfast." At the banquet talk of such a trip became serious, perhaps lubricated by what the Santa Rosa Republican called the "flow of soul." Members of the Santa Rosa Chamber of Commerce were rousing interest to collect enough pledges to pay Wiseman up to $3,000 for making the trip. He certainly needed the money; as the Republican mentioned, "Friends of Wiseman yesterday stated that the Santa Rosa birdling wrecked 12 machines before perfecting the one in which he now rides, and that he has exhausted his funds in the work..."
The flight was on. A few days later Wiseman told the Press Democrat, "I shall never bring that aeroplane to Santa Rosa by any other route than the air route, and if I can't fly it here from Petaluma it will never come." A couple of weeks later, Fred Wiseman was probably eyeing the grey skies and regretting that promise. It had been an exceptionally dry winter up to then, but in early February of 1911 the rain came down in buckets. His aircraft was at Kenilworth Park in Petaluma and that fairground was like a lake. All he could do was hope the ground dried up enough before February 22, when he had a commitment to fly at the Cloverdale Citrus Fair. On Feb. 16 Wiseman and crew tested the engine in the morning and word spread through town he was about to make his Santa Rosa trip, drawing a big crowd. After most of them gave up and went home for supper he decided the winds were quiet enough to make a short test flight. "The hundreds of factory hands returning from work at that time had a fine view of the aeroplane and he made by far the finest flight yet made here by him," the Petaluma Argus told readers. He flew about two miles north before returning, breaking a landing skid on touchdown. The next morning everyone seemed confident he would be making the flight – everyone. that is, except for Wiseman and his crew. Before he took the train to Petaluma he told people in Santa Rosa he didn't expect to attempt it until the following day. Whatever the cause for his hesitation faded by noon, however. Aviator Fred Wiseman, exactly at 12:30 this noon with a broad smile and determination covering his face and amid an eager crowd of two hundred people jumped into the seat of his biplane, gave orders to crank the engine and in three seconds was speeding his way for twenty feet up the slippery and muddy track, when suddenly to the surprise of those who had never before seen a flight, rose gently into the air over the heads of the cheering crowd. The women especially waved their handkerchiefs while the men threw their hats in applause of the daring of the little aviator. Others held their breath and turned away in anxiety for fear that he would drop to the ground and be injured. Even before he started his engine, autos were racing towards Santa Rosa in hopes of pacing his flight, including old friend and investor Ben Noonan who hoped to reach Santa Rosa before Wiseman. "In an almost incredibly short time however," the Argus reported it received a telephone call "stating that Wiseman had met with some mishap and had landed in a plowed field about half a mile north of Corona road." Wiseman brought it down because his engine began sounding rough – the carburetor had flooded. He had flown only a little over three miles (approximate location). Autos carrying Wiseman's team and aviation fans arrived almost immediately. The plane was not seriously damaged but a runner was broken, which they fixed using a shovel handle (!) but there was no chance it could take off again from the muddy field. The delicate aircraft with its 33 foot wingspan would have to be carried and dragged out by hand. "Everybody took hold and helped," the Press Democrat reported, but the wheels were "sunk into the sticky adobe almost to the hubs. The wheels gathered and held the mud and after a few moments resembled huge mudballs." The farmer who owned the land told them to tear down part of a fence and put the boards under the runners. It took hours to move the thing to solid ground just 200 feet away. 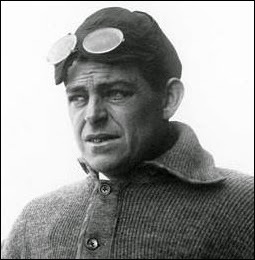 There was talk of flying back to Kenilworth Park where proper repairs could be made and Wiseman could attempt to set a cross-country speed record, but Fred still wanted to finish the voyage. By the time they were ready, however, a strong wind was blowing from the west. At sunset it was decided to wait until the next morning and everyone went back to Petaluma, with a watchman returning for the night. Fred Wiseman's airplane was left near the side of the road, facing in the direction of Santa Rosa. * In reality, the Reserve was a national aviation club with thousands of members who were mostly aviation entusiasts, including President Taft. While there was much hype at the time about using aircraft to look for Mexican Civil War Insurrectos sneaking across the border, the air patrol ended up being a single volunteer pilot who worked for the Wright Brothers - and who ditched the aircraft belly-up in the Rio Grande on his second flight, ending the whole plan. Wiseman did serve in the Army during the Spanish-American War, when Santa Rosa's National Guard Company E was called up 1898-1900 to serve as replacement troops stateside. In 1924 he applied for a military pension as an invalid and was approved. Fred J. Wiseman, the Santa Rosa boy who has made a splendid record at the aviation meet in San Francisco, will be honored on his return to his home city Tuesday evening. He and his crew of mechanicians will be met at the depot here on the arrival of the afternoon train at 5:45 and will be accompanied in the front of the court house by many of the representative citizens of Santa Rosa. Parks' Santa Rosa band has been engaged for the occasion, and the home-coming of Wiseman after having established some new amateur records at the aviation field, will be made memorable in many ways. Louis Gnesa, the well known business man of this city, has provided the band as a mark of recognition of Wiseman's feats in the air, and the fact that Wiseman has made known the name of Santa Rosa in exceptionally splendid manner. Gnesa is one of the enthusiasts over the success of the Santa Rosan, and has secured the services of a band to demonstrate his appreciation. A line of march will be formed at the depot and the march will be undertaken to the front steps of the court house on Fourth street. Here Mayor James R. Edwards will make an address to Wiseman, and a brief reply will be made by the aviator. Mayor Edwards will felicitate the young man on his splendid achievements in the air. Fred J. Bertolani of the Bismarck restaurant will entertain Wiseman and his mechanicians at a sumptuous repast later at his place of business. It will be a gala spread with good fellowship prevailing, and there will be a feast of reason and a flow of soul following the serving of the viands. Accompanying Wiseman will be Ben Noonan, Don C. Prentiss, Bob Schieffer, Archie Prentiss and Alvin Cooper. Ralph A. Belden of this city is also a member of the official staff. Friends of Wiseman yesterday stated that the Santa Rosa birdling wrecked 12 machines before perfecting the one in which he now rides, and that he has exhausted his funds in the work and given all his time to it for a year. They are indignant that an employee of a professional camp, driving a professional machine had entered in contest with the lead inventor and the matter will probably be taken up by the aviation committee and the judges of the meet. Cheer follows cheer from the multitude there. Tri-colored streamers float out on the air. Proud that he hails from our city so fair. This self-proven amateur king of the air. Of what man can do when he so sets his will. That confidence into all hearts should instill. Of a California built airship in actual flight. Fred J. Wiseman and his associates have established temporary quarters in this city, where they will carry on the construction of a large lot of aeroplane parts. They are having quite a bit of their woodwork turned out at the Simpson & Roberts mill under charge of Lee Patton of that establishment. Mr. Patton was with Wiseman's mechanical force some time at Petaluma. Wiseman has the distinction of being the first and only amateur aviator in America to build and successfully fly a heavier than air machine of his own original design. Yet his flying at the San Francisco international meet placed him and his machine about on par with professionals. While his machine was first being assembled at the Tanforan meet the question: "Will you try today?" was often asked. After his first exhibition of flying there the question was altered to "Will you fly today?" Being asked when he would bring his air craft to this city, the local birdman replied, "I shall never bring that aeroplane to Santa Rosa by any other route than the air route, and if I can't fly it here from Petaluma it will never come. But I don't believe there are many people who now doubt we can perform that feat and more, too." 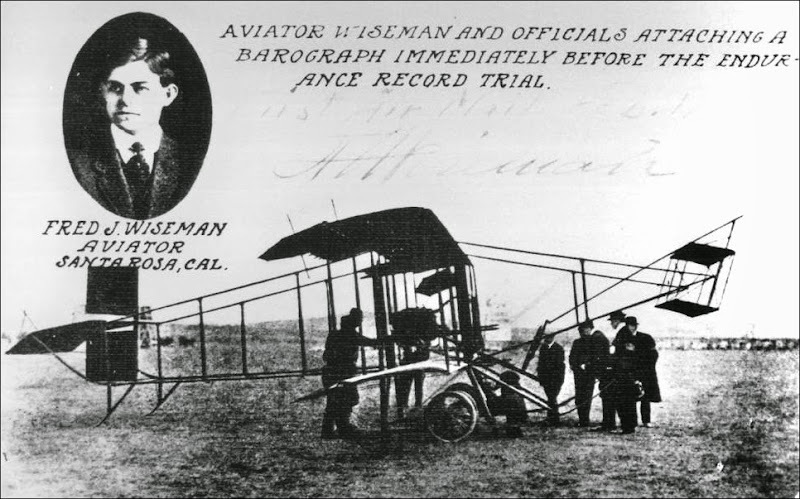 At San Francisco Wiseman established an official duration record of 49 minutes, double the time required for his promised Petaluma to Santa Rosa flight, which he has decided to make some time within the next few days. [? illegible microfilm] recognized by all the eastern magazines and aero publications and excellent pictures appeared in most of them. Fred J. Wiseman had proposed to fly from Petaluma to Santa Rosa Monday, it being a holiday, but owing to the continued storm this will be impossible. As soon as the weather clears up and the ground dries sufficiently to give him firm ground on which to make the start, he will make the flight. Wiseman returned Saturday night from Petaluma, where he had been during the afternoon with Ben Noonan and Don Prentiss to look over the conditions there regarding the prospects of getting a flight Monday. They were greatly disappointed to find the ground under water and the indications that it would be several days after the rainstorm broke before any attempt at a flight would be possible. The machine is now ready, the attendants are on hand and the very first opportunity the attempt is to be made, declared Wiseman during the evening. The machine will not be dismounted to take to Cloverdale until the last minute in hopes that a flight can be made from Petaluma to Santa Rosa prior to going to Cloverdale for the Citrus Fair when Wiseman is contracted to make flights on Wednesday and Saturday, February 22 and 25. After the big crowd of spectators had left Kenilworth Park on Thursday evening, following the announcement that Wiseman would not make his attempt to fly to Santa Rosa on that day he made a splendid tryout flight which the spectators missed but which was seen by many people at a distance. The hundreds of factory hands returning from work at that time had a fine view of the aeroplane and he made by far the finest flight yet made here by him. It was just 5:05 when everything was working nicely and Wiseman from his seat on the machine shouted, "let her go." The machine rose majestically and took to the air, rising to the height of about 75 feet and set out on a course which took him directly over the slaughter houses north of this city, and thence out as far as the point where the electric railway tracks leave those of the steam road. He made a wide turn to the left and came back to the park, having gone a distance of about four miles. He was in the air for about fifteen minutes. On landing, he forgot a trough which stood in the path of the machine and after he had shut off the power he was compelled to rise slightly to avoid the trough so made an uneven landing and smashed one skid of the machine. The work of making repairs was at once taken up and the machinists worked until far into the night to make repairs, and they were finished by morning. The test on Thursday morning was very satisfactory and there was over 400 pounds thrust before the machine left the ground. The additional power was added at Tanforan park in San Francisco. Wiseman had the machine under perfect control at all times and if he could have made such a flight as that on the Fourth of July the people would have gone wild with excitement. Yet Wiseman has been so successful he thought little of the flight Thursday, except to express his satisfaction. At 12:28 Friday afternoon Fred Wiseman, the local aviator, started from Kenilworth park for his long-discussed air trip from this city to Santa Rosa. Wiseman and his assistants spent the morning working like beavers getting the big air craft is shape for the perilous journey. Meantime the news of the attempted flight spread throughout the city and a crowd of several hundred people were at the park all morning waiting patiently and with great good humor for the mechanicians to finish their work. Soon after 12 o'clock the work was completed and the big air craft was moved down the track from near the pavilion to a point near the club house. Then Wiseman took his seat and the engine was started. The aeroplane moved rapidly along the track for some distance after which Wiseman lifted the plane and the air craft rose into the air as gracefully as a bird. Wiseman rose to a height of about one hundred feet, executed a graceful curve and headed for Santa Rosa, passing over the trees that line Washington street at a point a short distance west of the residence of J. D. Ellis. At this juncture the engine seemed to be working perfectly and Wiseman was traveling at a high rate of speed. The local people watched Wiseman until he passed out of sight beyond Corona, and all returned home to their delayed luncheons jubilant in the belief that Wiseman would reach his destination in safety. In an almost incredibly short time however, word was received over the telephone at the Argus office stating that Wiseman had met with some mishap and had landed in a plowed field about half a mile north of Corona road about one hundred yards west of the Northwestern Pacific Railway tracks. Investigation revealed the fact that Wiseman was compelled to descend for the reason that, in some manner, lubricating oil had flooded the carburetor of his engine causing it to stop. Wiseman made the landing in good shape and without damage to the aeroplane. Assistance was promptly on the scene and the work of moving the airship to solid ground preparatory to fresh start was soon under way. It was difficult work moving the airship across the plowed adobe to the county road near Denman station and this task had not been accomplished when the Argus went to press. Wiseman was not discouraged and declared his intention to complete the journey to Santa Rosa tonight if it was possible to do so. The airship had not been five minutes on the way when Mrs. H. C. Bartlett phoned the Argus word that it had alighted. Mr. Bartlett ran to the spot, about a mile away from their home, to see if he could be of assistance. Steiger's auto, with Wiseman's assistants on board, was soon at the scene and the slight repairs necessary were quickly made. They consisted of a broken runner, which was repaired by using a shovel handle. J. M. Johnson of Corona was less than a mile away when the machine approached and he saw that it was tilting considerably and was flying at an angle. The engine was missing and he could tell from the sound that it was not working properly. He could see that Wiseman was endeavoring to right the machine and that it gradually settled closer to the earth. Mr. Johnson saw that Wiseman was uninjured and then come on to town, and soon had told the Argus the first true particulars of the landing of the birdman. Wiseman carried letters from Geo. P. McNear to Mayor Edwards and J. P. Overton, a letter from Postmaster Olmstead to Postmaster Tripp and a package from Hickey & Vonsen to Kopf & Donovan. The engine worked in fine condition and like a swallow swerved over the Kenilworth Park trees while the big crowd scrambled to get onto the street. Every eye was bent on Wiseman, gently floating through the air, and all eyes were strained until the last [moment] when Wiseman disappeared into the distance, being now at Corona. Automobiles in large numbers left for the county road to get sight of the aviator's movements and previous to the flight, Ben Noonan left in his auto for Santa Rosa to be with Wiseman when he arrived. Disappointment was expressed on all sides when a telephone message was received from Corona that Wiseman had alighted in Denman's field and that there was little or no probability of his continuing the flight. The exact state of the injuries done to the machine could not be learned at the time of this writing although the fact was made known immediately that Wiseman was not injured. Six newspapers of Santa Rosa were tied to the seat of the machine which Wiseman had intended leaving at the homes of ranchers along the line of flight. Hickey & Vonsen sent a package along to be delivered in Santa Rosa and Geo. P. McNear sent a letter to be delivered to the Mayor of Santa Rosa, inviting the citizens of Santa Rosa to attend the Industrial and Pure Food Exposition in Petaluma in March. Wiseman was wished success by all around him and and before taking the flight partook of a light meal. It is to be regretted that he could not have continued the journey to Santa Rosa. Wiseman's trial trip to Corona on Thursday evening was identically the same as taken this morning. The test Thursday was satisfactory in every way. In alighting one of the beams was broken which had to be repaired today. The machine will be brought back to Petaluma and another trial made. The machine is being housed in the pavilion at Kenilworth owing to the unsettled weather. Our esteemed contemporaries at the county seat have christened Wiseman the Santa Rosa aviator. 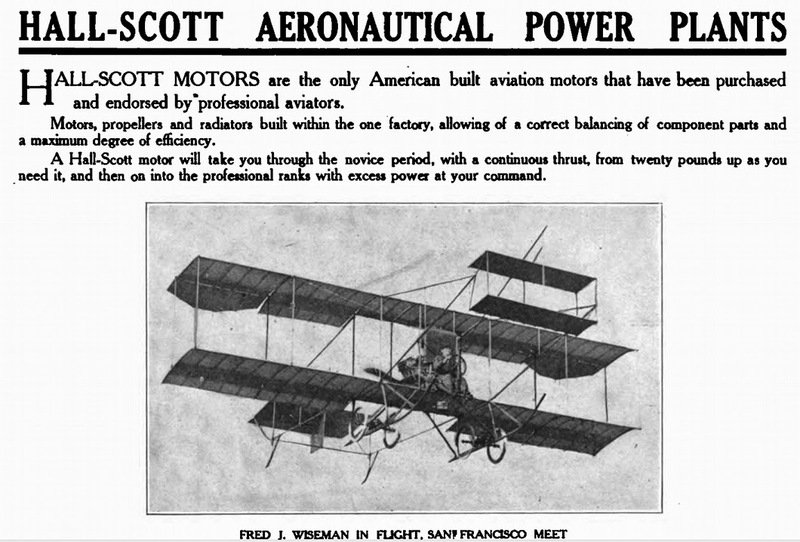 Petaluma also has a claim on him on account of his machine being built here and holds that he should be christened the "Petaluma and Santa Rosa aviator." Aviator Wiseman is still at the Denman field at Ely where he alighted while enroute to Santa Rosa. He is three and one-half miles on the other side of Corona station. Mr. Wiseman was compelled to alight in the field on account of the fact that the oil flooded the carburetor and the engine lost its power. Mr. Wiseman observed the trouble and alighted to save disaster. He landed on the field in fine style, making an easy stop. Unfortunately the field has recently been plowed and the soil is adobe and consequently the machine stuck. Wiseman and his assistants moved the machine 200 feet out of the field and hope to leave tonight for Santa Rosa. He has the machine headed for Rainsville.